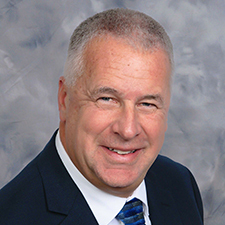 Ed Fitzgerald is the Vice President and General Manager of Hilldrup’s Orlando branch, where he is responsible for the overall coordination, direction and evaluation of the branch, ensuring goals for sales, operations, safety and quality are reached. Working in the industry since 1979, Ed has had significant experience in relocation and moving, holding senior management positions across several of the industry’s top van lines. He operates the business with a high level of integrity, maintaining a constant focus on Hilldrup’s customers. Ed has a bachelor’s degree in business management, industrial relations and economics from Minnesota State University. He currently lives in Orlando, Florida, with his wife and three children. In his free time, he enjoys playing golf and spending time on the beach.